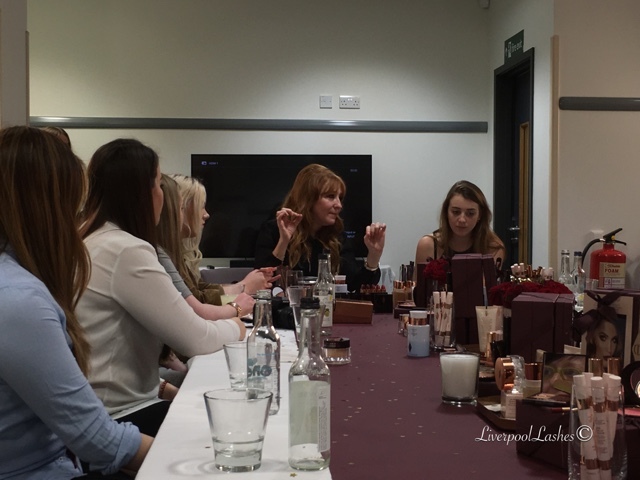 I was delighted to be invited to John Lewis, Liverpool ONE to meet Charlotte Tilbury, watch her Project Confidence Film and hear all about her Make Up Revolution. 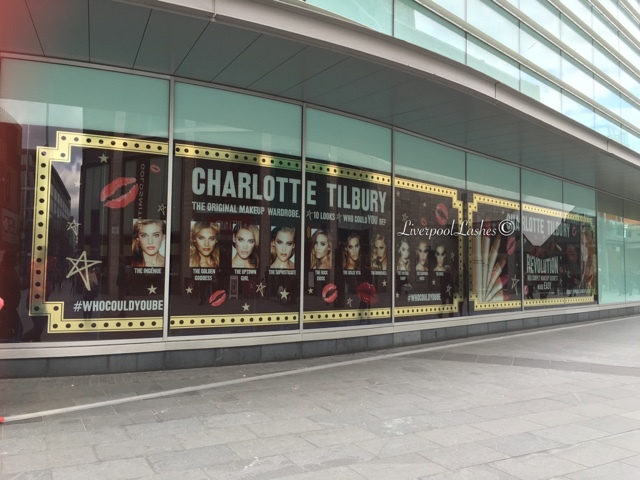 The Charlotte Tilbury brand is more recent to the make up world but is truly knocking out other brands with their award winning formulas. 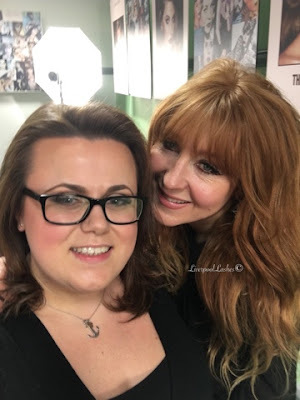 She has worked with the bigger labs to create their make up lines, done make up for A list celebrity's all over the globe and many major fashion shows such as Victoria Secret. When she was a child, her father was an artist and she would study Marilyn Monroe and other iconic figures and look to see why is the liner like that, why the contour was a certain way etc. 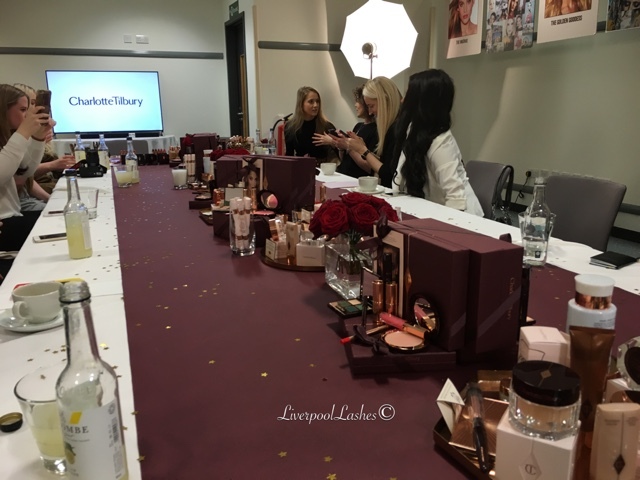 "Give a woman the right make up and she can conquer the world" was one of the first things that Charlotte said to us at the press event as she spoke about the power of make up. This is the second John Lewis campaign Charlotte has done with them and she wants to reach as many people as possible. She wants women to look beautiful, on trend but not a victim. 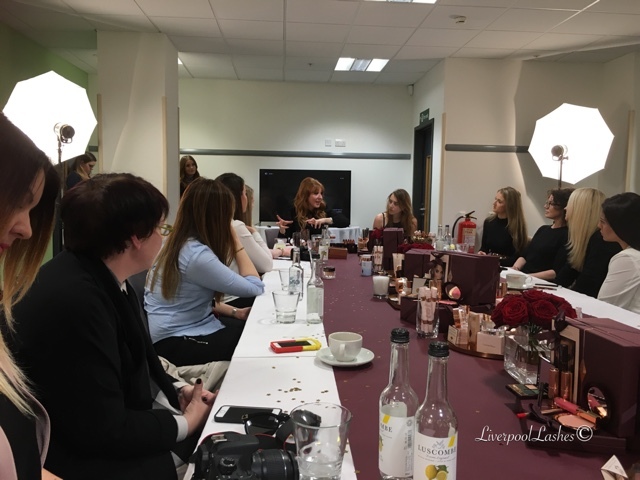 "We all want to create power, confident whether it's for yourself, your partner or someone else" was what Charlotte told us. We then watched Charlotte's Project Confidence Film. 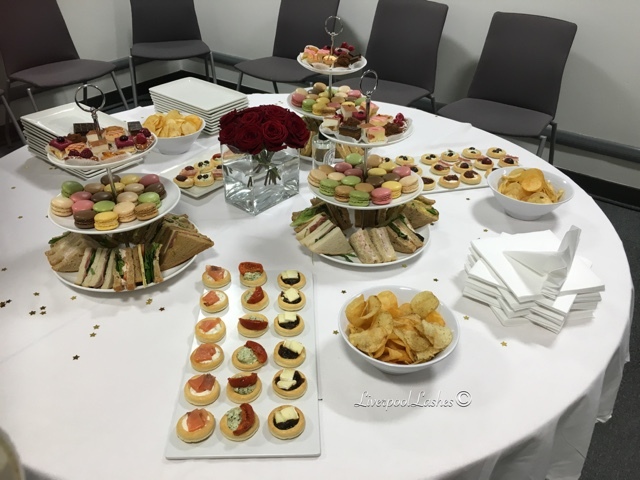 It introduced Claire, the bride and Yvonne, her mother in law. 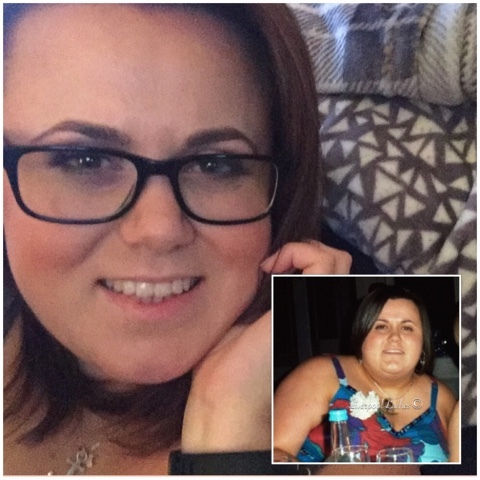 Sadly Claire's mother had passed away. Both Claire and Yvonne shared their concerns of their appearance (redness, how they wanted to emphasise eyes, etc.) A really touching moment was when Yvonne has very fair, virtually none existent eyebrows and the make up created some flawless for her. Charlotte went on to tell us "If you look good, you feel good and the world reacts to that" which is so true. She told us that Proctor & Gamble did a test with random members of the public. They showed two photos of a woman, one with make up and one without. Those people answered that they felt that they could trust more the lady with the make up more, fancy her more and would pay her more. Charlotte said that 50% women in this country don't use make up as they don't know what to do with it. This is why she came up with the concept of Wardrobes of make up. 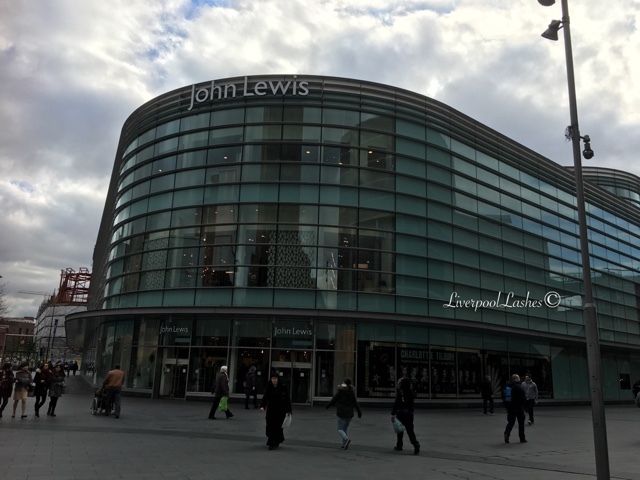 Just like designers show you what top to wear with what trousers, she wants to do the Jennifer Lopez look, etc and this is where she created the styles such as Uptown Girl, Goddess and Sophisticate. I thoroughly enjoyed Charlotte telling us all about her product line and that each one has story behind it. 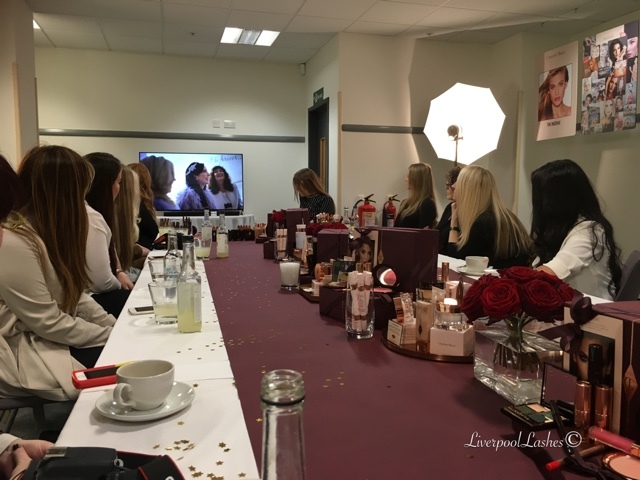 She told us that she came up with the Mini Wand, a market first double ended pen with a serum one side and million lights light reflector on the other "because the whole world is knackered" which is very true! We got to feel the products and test them for ourselves. Charlotte lived in Ibiza mainly until she was 13 and created the Goddess Clay Mask to rehydrate. 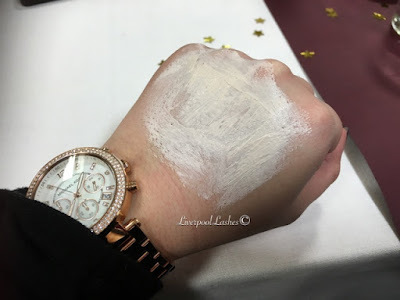 The patch of my hand felt amazing, super smooth an truly moisturised after it was removed, definitely on my wish list! 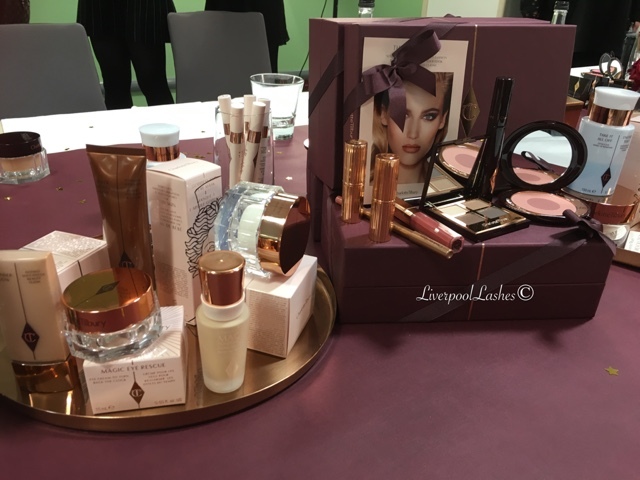 We received a fabulous goody bag which I was virtually in tears with because it was truly fantastic and I am already a fan of her night cream, its a staple in my routine. 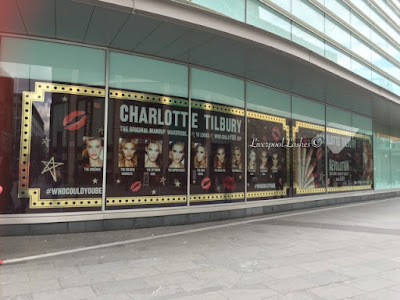 If you've yet to check out the Charlotte Tilbury line you definitely need to stop by a counter and speak to one of her team, just trying her products for yourself will show you that the really do as they promise and this is why they've smashed other brand to pieces.